From the inimitable veteran New Yorker journalist Lillian Ross—a stunning collection of Ross’s iconic New Yorker pieces. A staff writer for The New Yorker since 1945, Lillian Ross is one of the few journalists who worked for both the magazine’s founding editor, Harold Ross, and its current editor, David Remnick. Ross invented the entertainment profile. She was the first person to write journalism in “scenes” as novelists do, and her profiles are full of humor and details that bring her subjects alive on the page. Her style has been studied and imitated by numerous writers. But there is only one Lillian Ross: spirited, funny, factual, and unforgettable. Reporting Always collects a wide range of Lillian Ross’s New Yorker articles and “Talk of the Town” pieces spanning sixty years, bringing readers into Robin Williams’s living room; Harry Winston’s office; the afterschool hangouts of Manhattan private-school children; the hotel rooms of Ernest Hemingway, John Huston, and Charlie Chaplin; onto the tennis court with John McEnroe; and into the lives of many other famous and not-so-famous characters. Ross’s portraits are filled with rich details that reveal her subjects in amusing and perceptive ways. 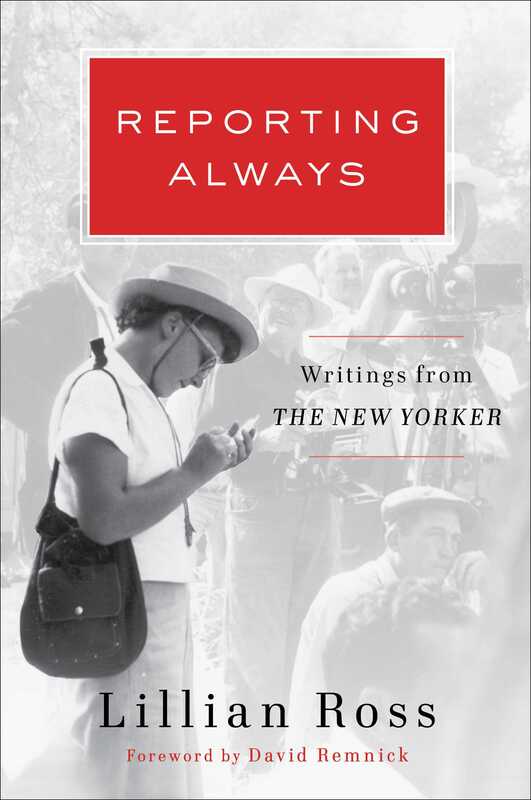 A foreword by David Remnick discusses Ross’s trademark style and her important place in the history of The New Yorker. "There is only one Lillian Ross: spirited, funny, factual, and unforgettable. Her fabulous writing never goes out of style." Lillian Ross has elevated journalism--storytelling--to an art but it is her art, singular and brilliant. Her innate sense of form and eye for the telling, often humorous detail, are part of what makes her work so indelible and influential--that and her understanding of how the family of man becomes just that. "An anthology of New Yorker stories form a living bridge to journalism's golden age...Readable and rewarding and...full of exemplary reporting."